Move right into this beautifully maintained 3 bedroom, 1.5 bathroom ranch in Camp Hill, Cumberland Valley School District. Through the front door you walk into the open living/dining room combo which works great for entertaining your guests. The living room has a cozy gas fireplace and dining room has great space for a large table. From the dining room or hallway you can enter into the eat-in kitchen where you will find newer laminate floors, ample cabinets and countertop prep space with a glass cook top, wall oven, built in microwave and stainless steel refrigerator. Off the kitchen is a beautifully updated half bathroom with wainscoting, new vanity, toilet, lighting fixtures, and ceramic tile floor. Down the hall you will find 3 spacious bedrooms and a full bath with tub/shower combo. 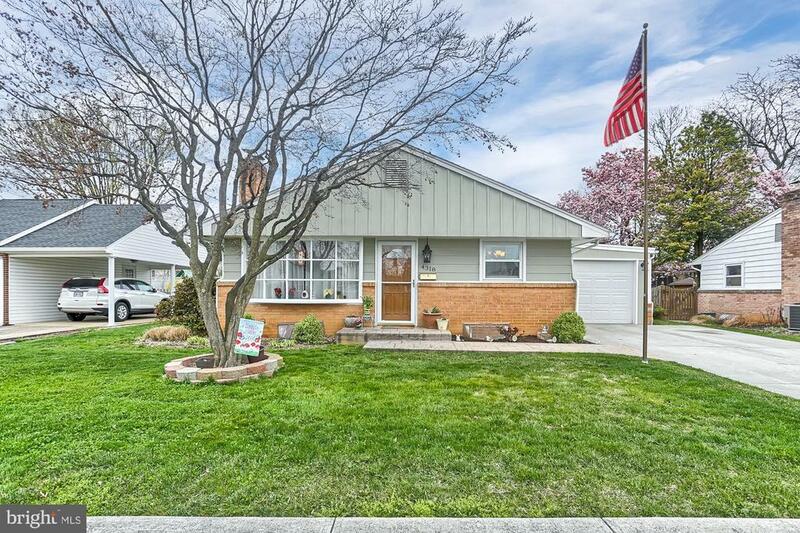 The home features hardwood floors throughout, fresh paint in every room, all windows are newer vinyl replacement windows, with custom blinds, newer roof, furnace, and central air. Dont miss the finished basement which includes a great bonus family room area, laundry area, and an additional private office or storage room. Through the 1-car attached garage you will find your backyard space that is the perfect retreat featuring a large stamped concrete patio, with built in hook-up and wiring for a hot tub. The yard is partially fenced in with mature trees, an enclosed garden area and large shed w/ garage door and side door great for storage or your favorite hobby. This neighborhood is convenient to shopping, restaurants, and major highways including Rt. 581, 15, 83 and PA turnpike. Make it yours today!